Here are 7 tips for creating infographics. They will walk you through the process and logic of designing effective and attractive infographics. 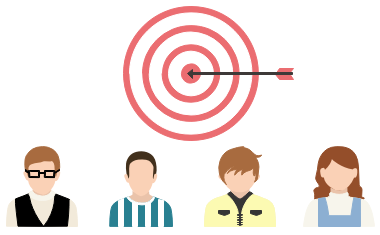 Try to figure out whom you want your infographics to be present to before making it. Your goal is to create infographics for your target audience, unnecessarily for the whole world. So try to avoid choosing some elements only because it is populous. Try everything to keep your infographics more specific and attempt to select elements that fit your target audience most. Infographics is born to express complex information in a rather simple way. It helps to make information perceivable and easy to be consumed. It’s crucial to make it focused. Do not wish to put everything on the graphics and try to make the focal point stand out. One of vital methods to assess your graphics is that if it can be read at a glance. Good layout can make the infographics more attractive and readable. Since the aim of your infographics is to make for a quick read, you should tell a story in an instant. You don’t have to add much text but use a timeline to show things changing with time. 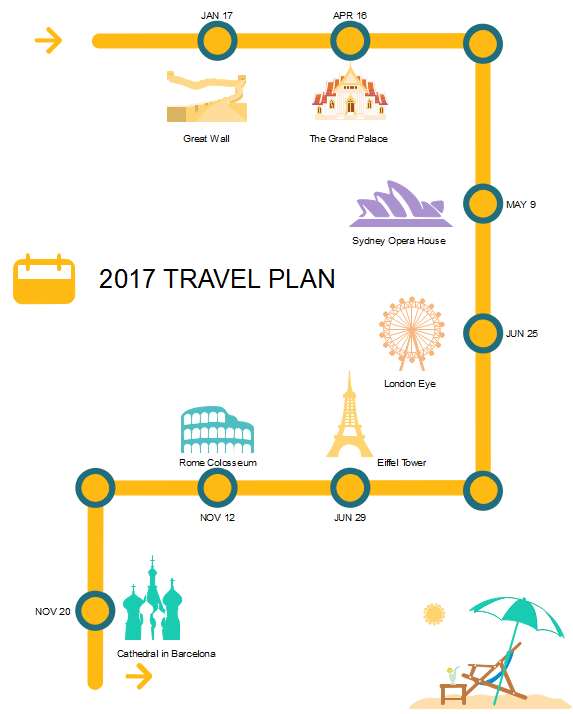 For example, this infographics is designed with a story to show a new year travel plan. We can easily and immediately get the information of the travel time and destination. Avoid unnecessary design such as 3D charts, ornamental illustration and extraneous elements. Use no more than five colors in a single layout. Too gaudy decoration and colors may get audience distracted and make it difficult for infographics to be compelling. Contrasting colors appear on opposite sides of the color wheel: warm colors like orange, red and yellow; cold colors like blue, purple and green. On one hand, similar colors make the object on the infographics difficult to distinguish from each other. The stronger the contrast is, the easier the infographics can be read. 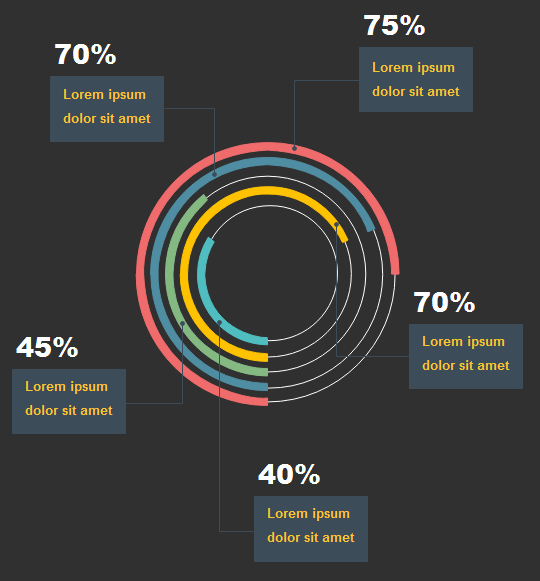 On the other hand, using contrast colors can make the infographics beautiful and stand out from the page. But remember do not apply too much colors or it can be too distracting. Type of your data determines the type of charts you need to use in your graphics. So try to figure out what type of your data is. Is it a comparison between data point? A tend over time? Anoutlier? For example, a column graph is suitable to compare data and a line chart is good at convey of trend over time. You can view "Six Most Popular Infographic Charts People Love to Use". Sometimes we can make an infographic for an environment that it will never live in. For instance you may design an infographic for print but it’s been put into a blog where the text is too small to be read. Before deciding the dimension, you must found out where it will be used. You should make the infographics most adaptable to the expecting environment. 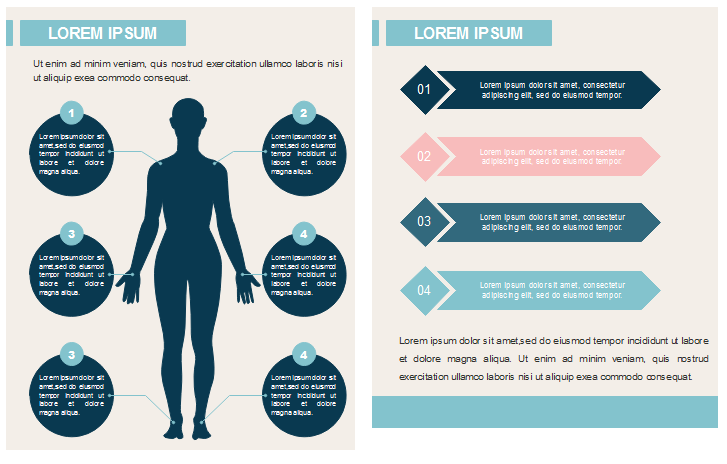 Click here to get common infographic lay out templates.